What is a White Paper, and how can it Generate High-Quality Leads? What are Pinterest Ads, and how do they Work? Why Should I Use HubSpot Inbound Marketing with Fat Guy Media? What is UX Design, and How does it Enhance User Experience? What is Google AdWords, and what are its Benefits? Protecting Users or Stifling Marketers: Unsolicited Mentions Suspension. What is Google Ads, and What are its New Innovative Features? The Deepest Question: Why Do I Need a Website? What is Responsive Web Design and How Could it Help Your Redesign? Is Web Design on Your Christmas List This Year? What is a Brand Ambassador, and what are its Benefits? What Can Promoted Tweets Do for Your Business? What is the Bethpage Best of Long Island? What is SSL, and Is it Necessary for your Ecommerce Site? What Works When Marketing to Millennials? What is a Sitemap, and what is its Purpose in Web Design? What’s a Consumer Journey, and What are its Core Components? How Can Marketing Automation Help Grow a Business? Inbound Marketing Strategy: How Does HubSpot add value? What is a Thank You Page, and why is it Important? How Can a Long Island SEO Company Help You? What’s the Deal With Third Party Apps? Vine 2: Will it Live Up to the Hype? What Should You Look for in a Long Island SEO Company? What is Brand Equity, and what is it Worth to my Business? What are Marketing Objectives, and why are they Essential? What is a Chatbot, and how can it Improve my Website? What is a Meta Description, and why is it so Important for SEO? Google Attribution: Has the Death of Last-Click Attribution Come? Fat Guy Takes LI: Getting Healthy with Nutrish Mish! Can a Last Second LinkedIn Mobile Push Save the Network's Future? Is Direct Marketing Really Dead? What are Google Ad Grants? And, how do they help Nonprofits? How Will You Benefit from Creating Buyer Personas? Why and When Should I use Gated Content for Lead Generation? Will the new Twitter Character Limit Help or Hurt Marketing? Is LinkedIn Sales Navigator Worth it? What is Growth Marketing, and How Does it Provide Results? What is a Google SERP, and What Information does it Include? Material Design vs. Flat Design: What’s the Difference? What is the GDPR Law, and how does it affect my Website? Native Advertising: A Passing Fad or Here to Stay? What Makes a Great Logo, Great? What are Google Snippets, and Why do they Matter? Breaking News: California Chrome is out and Fat Guy is in! How can Outdoor Advertising Help Improve your ROI? What is Content Marketing, and how does it Generate more Business? Why is Social Media Monitoring Crucial to Digital Marketing? How Does the Facebook Algorithm Affect your Marketing Efforts? What is Proper Business Email Etiquette? Do I Need a Business Blog To Get More Leads? What is a Wireframe? And, why is it Crucial to Web Design? What is Reddit, and is it good for Digital Marketing? What is Mobile Marketing and how does it Work? Are NBA Jersey Ads the Next Sports Marketing Trend? 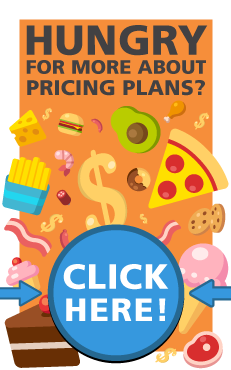 Hubspot Pricing: Is all that Money Really Worth it? Snapchat vs. Instagram Stories: Which is Best? GEO Marketing - Why Does My Business Need It? So the Twitter Police got you and your Twitter Account Has Been Suspended. What is ROI, and why is it Important? Why is SEO Important, and How does it Work? Fat Guy Media Is Seeking A Guest Blog Writer! What is Breadcrumb Navigation, and Does it Actually Work? Some Important Things To Have When Launching Business Endeavors. Could You Have Overlooked One of These Digital Marketing Necessities? What is a Domain Name, and Why Does My Business Need One? What is Twitter and its Terminology All About? What is A/B Testing, and how does it Work? Is it Finally Time to Update your Content Strategy? What is Niche Marketing, and what are its Advantages? Fat Guy Media Got a Website Upgrade. Do You Need One Too? LinkedIn Update Allows For More File Types To Be Uploaded. Landing Pages: What on Earth are they? Basic Twitter Stats Can Now Be Accessed By Anyone. Graphic Design vs. Web Design: how are they Different? Promotional Advertising: Is it Right for my Business? Why Use Shop Advertising for the Holidays? Shark Week 2013…Probably the Best Week of Summer. What is Instagram TV, and Why are Brands Starting to Use It? What Are Some Effective Healthcare Marketing Tips? Do You Have the Storytelling Skills to Convey Your Brand Personality? Mobilegeddon: Are You Mobile Ready? What is a Typeface and How do I Choose the Right One? What is Foursquare? And, Why Do We Need It? Do I Need Twitter for Business? Advertising on Instagram: How Does it Work? What is Contextual Marketing, and what are its Benefits? What Makes the World’s Most Valuable Brands so Valuable? What is a Long-Tail Keyword, and How do I Choose One? What is PPC? How Can it Help My Business? Should I Buy Followers on Instagram, Twitter or Facebook? Social Media and SEO: Does one Influence the other? What’s Up with all of these Social Media Holidays? What is Material Design? And, Why is it Important? Is There a Magic Formula for Google Panda? Is it Better to Use a DIY Website Builder or Hire a Pro? Is Foursquare for Business Still a Thing? Are Corporate Sponsorship Deals Really Worth the Effort?